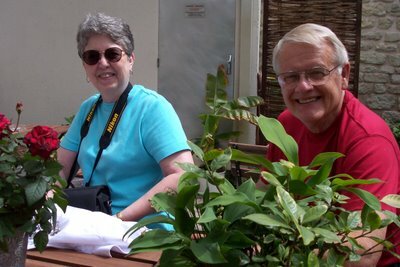 Beth and Jerry in the garden behind their hotel, Cecil Hotel. (By the way, we HIGHLY recommend this place! It is amazing. I can't believe it's only a 2 star!) 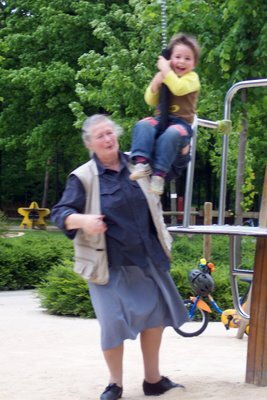 The owners speak English and French, and the accommodations are spectacular. 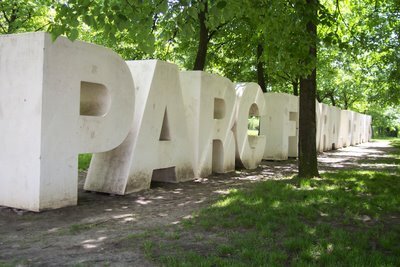 The sign announcing the entrance to the Parc Floral de Paris. 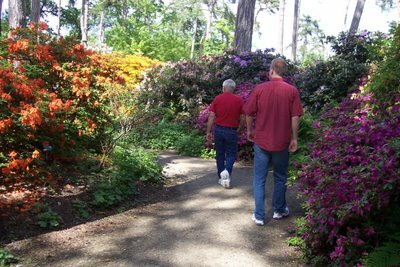 Jerry and Colin walk down one of the many rhododendron-lined paths in the park. 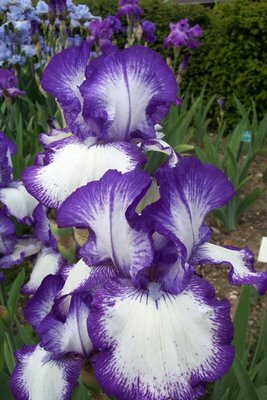 A closeup of an iris with coloring that we've never seen before.